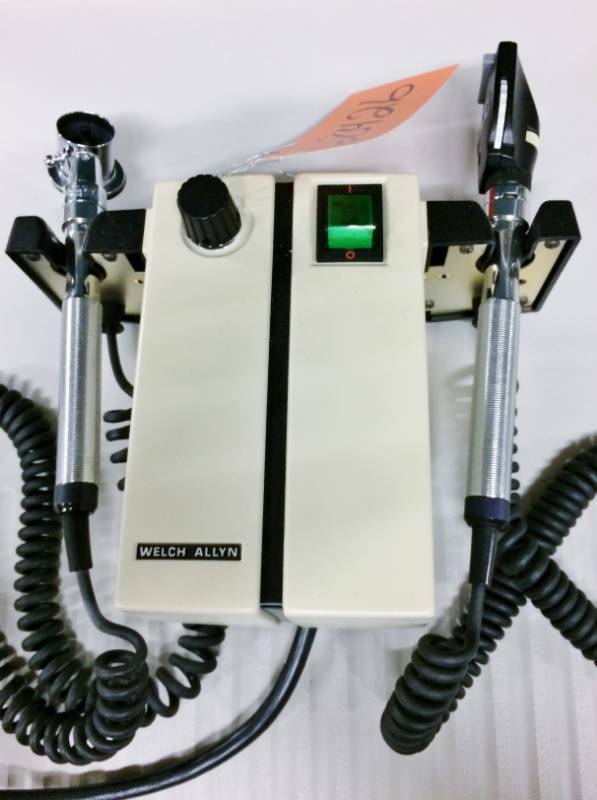 Welch Allyn 3.5V Wall Mount Diagnostic Set - Transformer + Otoscope + Ophthalmoscope - Great Working Condition! 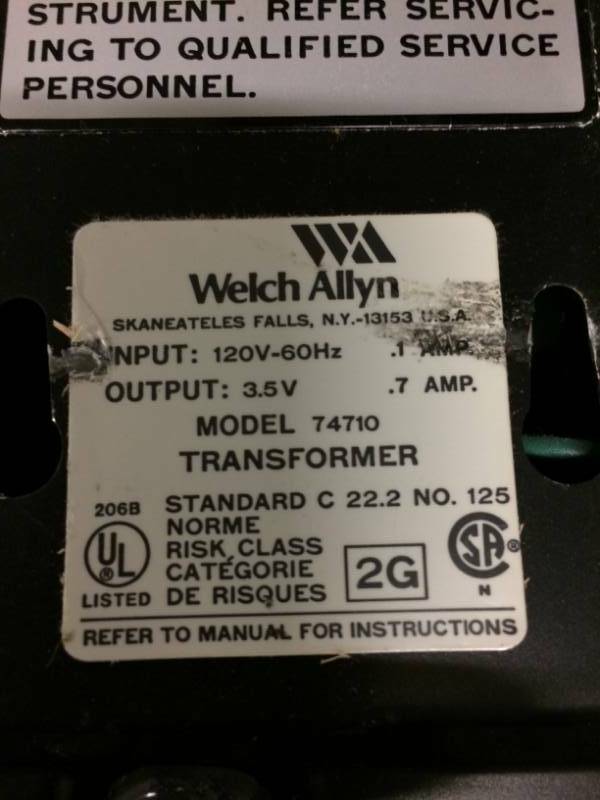 Welch Allyn 74710 Transformer, instruments will light automatically when handles are lifted from holder. Adjust rheostat knob until desired lamp brilliance is obtained. Turning rheostat clockwise increases light, counterclockwise decreases light. A built-in, automatic voltage regulator provides maximum illumination and lamp life. The instrument's lamp is automatically turned off when handle is replaced on holder. 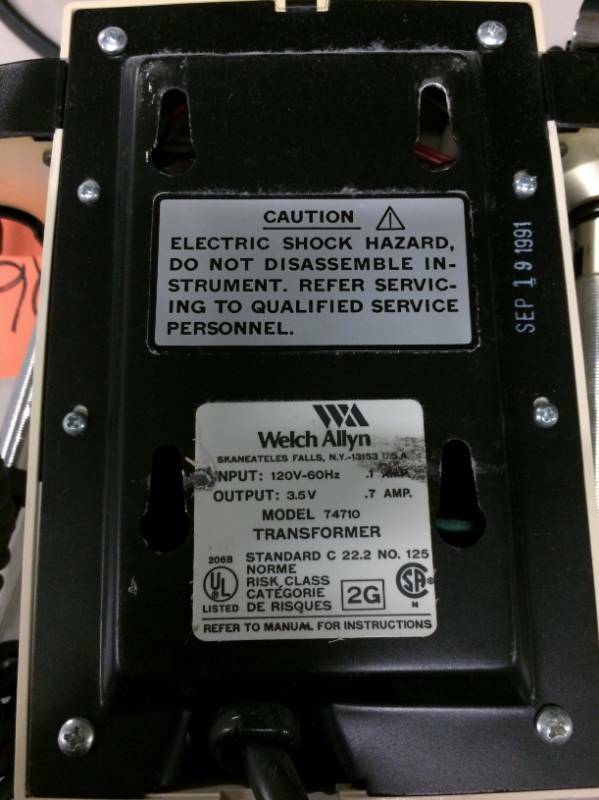 Transformer may be turned off by turning the switch off. Pilot light alone draws current when instruments are not in use. When unit is not in use for more than a few hours, turn switch to off position to ensure longer operating life. Unit can be left plugged in permanently.